I have always believed in the importance of physical education. Movement has been an integral part of my own life since I was a child. As I grew up, went to school, tried to figure out my life (still working on that) and eventually settled on a career in education, physical education was always at the forefront. 2013 marks my 20th year as a physical education teacher and after nine career “adjustments” (new positions, new schools, new degrees) over this time span, two constants have emerged: physical education and working with children and youth. Despite this long term committed relationship with PE it is only very recently that I have made the leap from thinking PE is important to a fundamental belief in the absolute, critical, elemental, life-changing and life-giving need for human movement. Health Benefits: physical activity: is the #1 treatment for fatigue; decreases anxiety by 48%; decreases diabetes by 50%; decreases knee arthritis by 47%; decreases depression by 47% (these stats are from Dr. Mike Evan’s brilliant video entitled 23 ½ hours – there are many, many more stats like this!). Academic Benefits: a research brief summarizing the relationship between physical education, activity and academic performance includes these findings: reducing PE time to increase classroom time does not improve academics; increasing PE can lead to improved grades; active kids tend to perform better academically; activity breaks improve cognition and behavior. Awesome. The more ammunition we have to advocate for quality physical education the better. These are all valid reasons that should not (although often they are…) be ignored. There is, however, one problem. A BIG PROBLEM. When all the focus is on extrinsic or functional rationale we miss two very important aspects of movement itself. Movement is essential to who we are as human beings and is absolutely critical to growth and development across the lifespan. For example: infants who averaged 41 days of creeping experience were more likely to avoid a “visual cliff” (plexi-glass covered drop-off) than infants with 11 days of experience (Witherington, et al., 2005). At the other end of the spectrum, women over 80 years old who participated in a targeted exercise program (strength and balance) had significantly less falls than the 80 year-old women who did not (Campbell, et al., 1999). The health and academic benefits are a great bonus, but are really just an extension of how movement is part of our human identity and helps us negotiate the treacherous terrain of life. Therefore, education should not be considered “whole-child” unless it includes education of the physical. Bwahahahahahaha! I know it sounds funny to say it out loud, but this is often how we treat movement and physical education. The fact is, kids (and adults!) are motivated by joy and will work / play extremely hard to find it. As a bonus, they’ll also get all the health and academic benefits. If you want to see an example of this ethic in action, go visit a skate park. 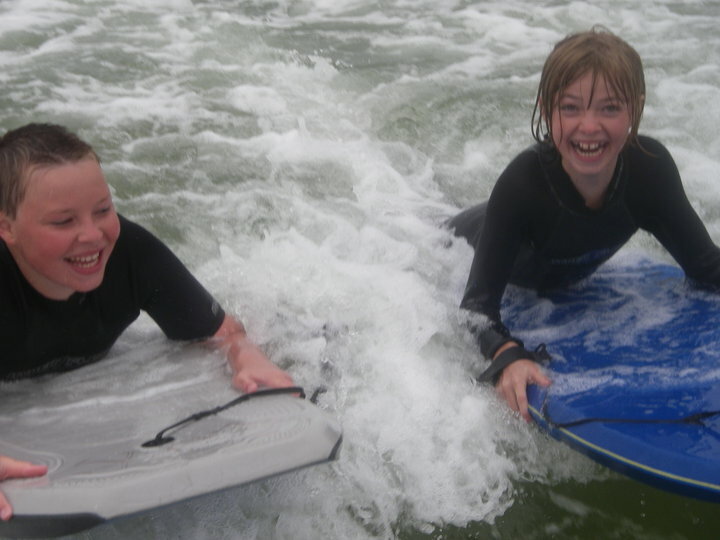 There you’ll see people finding joy in learning, intrinsic motivation at it’s best and not a trophy or rubric in sight (you’ll also most likely see me laying at the bottom of the half-pipe after attempting to ride the wall…). Want to advocate for physical education? Want healthier kids and a less sedentary society? Become a spokesperson and model for the inherent worth of movement itself. Be a joy-seeker and find ways to allow others to find their joy through movement as well. As for me, I am off to the skate park! This post was done as a guest blog for ParticiPACTION. I agree with Mark….this post is brilliant. Now, how to address the ASSESSMENT Elephant-In-The-Room with regards to all this? When we start talking about standards, outcomes, objectives, etc. and brag about our “standards-based” assessment tools/techniques (all in the hopes of convincing everybody else that we are “real” subjects, just like them), do we not suffer from cognitive dissonance? I am always taken aback by people in our field who push assessment real hard…..I understand the advocacy game: it’s a necessary evil, but it seems as though we’ve adopted that obsession with measurement as our identity. Even Physical Literacy has become an “objective” objective. Doug, you used a word that jumped out to me: ETHIC (“If you want to see an example of this ethic in action, go visit a skate park.”). Interesting choice of words there…. It resonates with me because I feel one of the greatest purposes for Physical Education is to develop and cultivate a PLAY ETHIC. This, to me, is one of the key dispositions for developing lifelong movement. Thanks for the thoughts! The assessment issue is an interesting one for sure and we need to be careful at what price we become a ‘real’ subject. The ethic piece is very dear to me because it is really about how we in PE can help children interact with their world in a positive and growth based manner. Brilliant post Doug! I was just chatting with a colleague who’s doing some graduate work right now and we talked about how movement is undeniably tied to our identity as humans and key to how we experience the world. How many opportunities I’ve missed to tie Physical Education and movement to these larger concepts that are common to all of us. Thanks for this – loving where the movers and shakers in P.E. are taking the conversation right now! Thanks Mark. In my opinion we need to take this tack more often. You really can’t have education w/o physical education. Too often we sell ourselves short and try to rationalize PE only by its contributions to other subjects etc.